I remember when I first thought about my ideal full sized pro grade digital/analogue mixer with built in audio card and full midi mappable implimentation to end up scrawling all the ideas down for one in some journal. I was pretty obsessed with digital vinyl emulation and midi control at the time as I used to do regular rounds and testing weekly on a custom built and meticulously tuned DJdecks rig whilst experimenting with Ableton on the side using a 4 to 8 track ASIO assigned layout. 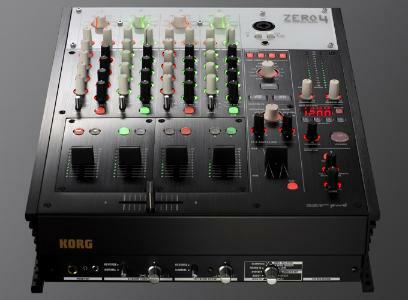 Then one day Korg drops the first of their all in one mixers in the form of the Zero4 and Zero8 with studio grade audio cards built into them. The difference between them being that the Zero4 had 4 near zero low latency ASIO channel capability and a layout of a standard 4 channel analogue mixer whilst the Zero8 had 8 near zero low latency ASIO channel capability and was near twice the size of the Zero4. ...the grid assigned digital audio file movement response in your chosen DVS software. The accepted industry standard DVS (serato) at the time in its current version was able to achieve a solid latency time of 7ms via a USB 1.0 connection which was more then sufficient for actual high speed competition style vinyl record scratching. Although I didn't actually do much DMC style record scratching the faster speeds in response times generally made it feel more natural/much closer to actually using vinyl records when spinning DJ sets in general. My custom rig at the time was able to produce latency times of 5ms at a stretch but for the sake of stability I mainly set it at around 6 to 7ms. 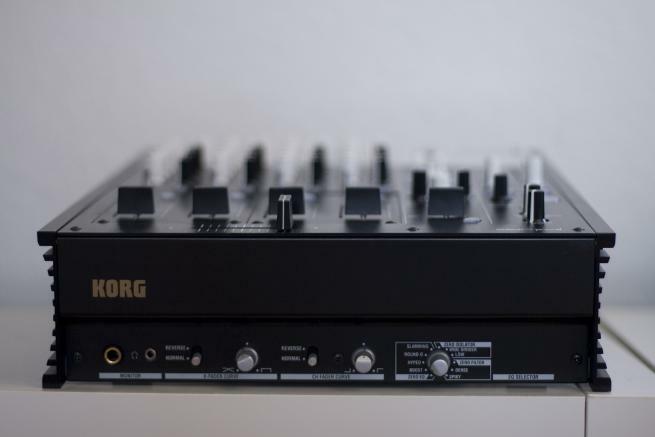 The Korg zero4's built in digital audio card was able to get it down to 2ms whilst using DJdecks! The only other professional alternative at the time was the relatively well established Allen & Heath Xone 3D which was well known as being used and used by none other then the world renowned Sasha in conjunction with Ableton. As far as I was aware no one was actually using the Xone 3D for digital vinyl emulation purposes. The British designed Allen & Heath Xone 3D almost cost 3 times as much too! But with the Zero4 being so new and untested what was it that actually tempted me over to part with cash for it in its very early release/near test sample form other then the vastly lower price point? Well first up there was a difference in the wired data transport that it used for hooking up the internal audio card to your puter turned dedicated music machine of choice. The Allen & Heath XOne 3D used USB 2.0 where as the Korg Zero 4 and 8 used Firewire. Technically USB 2.0 is in fact faster for potential RAW peak data through-put speeds, however USB 2.0 doesn't use a dedicated controller meaning it puts processing load on the main CPU whilst in use. Fire-wire on the other hand uses its own separate IO controller which does not put processing load on the computers CPU. 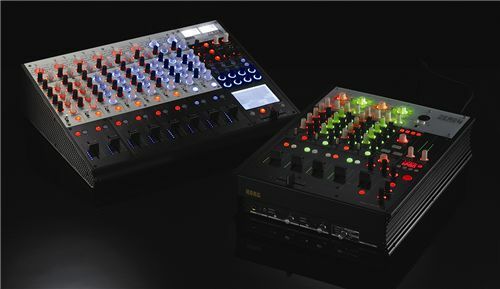 Meaning that the Korg's near Zero audio streaming latency audio cards in the near zero latency mixers should in fact perform much better on the ASIO front with its use of fire-wire instead of USB 2.0. During my use/testing of the Zero4 in the earlier days there were still a number of audio streaming problems which manifested in various ways (although admittedly the situation did improve with a number of firmware updates and generally over time with constant ranting whenever the issues occured). 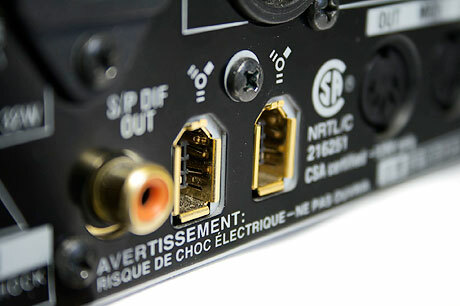 Fire-wire is more traditionally used for streaming video (which generally requires much more bandwidth then audio) meaning it should have more then been sufficient for streaming high resolution audio instead of video without any issue at all. There must have been something else being streamed along with the audio for it to have such problems at times. Especially when you consider that the XOne 3D using USB 2.0 has had actual tried and tested/proven reliability in the field whilst being used to play to crowds of thousands/near tens of thousands all over the world by world renowned DJ's. Even during research I couldn't actually dig up any documented issues relating to audio stutter/streaming problems for the XOne series either. Either that or they had blocked me from getting access to them. Korg wasn't the most foremost of DJ hardware producers to come to mind (with the exception of their KOAS pad DJ FX unit range) although they have a well established name and a relatively prestigious standing for producing high grade professional industry standard hardware based digital instruments and midi controllers for live performance situations or professional studio use. The Zero4 and 8 concept was coming out of the Korg Japan HQ branch. Japan being where the iconic Technics/Panasonic turntables used to be churned out from before being discontinued so I was definitely expecting a rugged design specification and fabrication at the very least even if it was actually being assembled at their plant in China. Besides that there's also the fact that it had replaceable glide rail sliders (for smooth high speed manipulation if required) which use light sensors for increased accuracy and faster registration of slider movement. 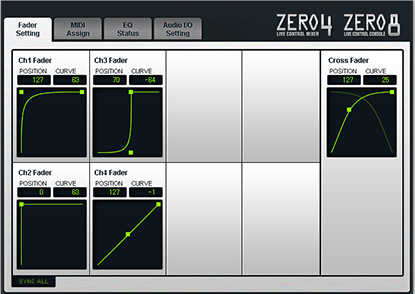 To accompany that it also has a very in depth array of curve control features to better custom suite your DJ style which could be accessed via the zero edit software for finer tuning or the or more directly via the front curve control pots. The strange thing was that at the earlier stages of release and testing it did in fact have compatibility with all DVS. A little less known fact was that it even included Serato's DVS software and timecode vinyl/CD, yes- as in you could actually use the Serato software and time-code vinyl with the Korg Zero4's built in audio card without need to use the Serato scratch audio device break out box. However this was eventually shut off and locked down with update patches and later re-iterations of the Serato scratch software. This eventually only left the options of DJdecks, Mixvibes and Traktor DVS with 100% software compatibility without need to buy any additional digital audio hardware. Obviously you needed to either buy or acquire the the software and time coded vinyls or CD's to use with the zero4/8. This eventually only left the options of DJdecks, Mixvibes and Traktor DVS with 100% software compatibility without need to buy any additional digital audio hardware. Obviously you needed to either buy or acquire the the software and time coded vinyls or CD's to use with the zero4/8. 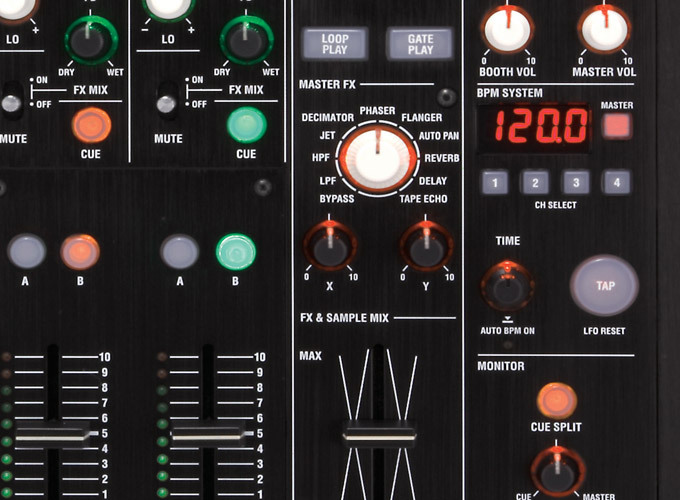 Nearly all the controls on the mixer are midi assignable when switching to full midi mode. It also has its own master midi clock signal generator meaning that it can be configured and used to control the global tempo of all chained midi devices and software directly from from the mixer itself whether that be in correspondence to a BPM count that's been manually tapped out or a BPM count synced via the mixers auto BPM detection from a standard analogue audio input source such as a vinyl turntable/CDJ/line-in. The reality was the auto BPM detection wasn't that great and required me to be on it all the time via manual tapping (to get it in the correct count threshold range) in conjunction with finer rotary pot adjustment. The reality was the auto BPM detection wasn't that great and required me to be on it all the time via manual tapping (to get it in the correct count threshold range) in conjunction with finer rotary pot adjustment. The midi assignable EQ pots were created in such a way where the default step settings would helped you to create mix recordings and audio productions with greater audio transparency when using Ableton. This also helped to reduce the chances of over peaking on the audio and VU levels. Meaning there was also plently of headroom when required. - Studio grade 96KHz 24-bit 4 channel ASIO and recording capability as well as the more regular 48/44.1KHz. - Customizable audio range thresholds and curves across the low, mid, and high frequencies in analogue mode. (however this does take a bit of time and tweaking which I've not really had to do much of recently in always using it in digital mode and doing it all within Ableton these days). - tap and auto BPM syncing which could also be used to sync a bunch of built in FX per channel or via a built in master FX unit. - Built in loop sampler unit of upto 4/3/2/1 bar lengths which can be trimmed right down to 1/256 for additional audio looping effects. At the time, no problems at all. It worked perfectly. The only reason for using DJdecks was that it was what I used before using the Zero4 mixer and it has compatibility with all time code vinyl and CD's such as Serato, traktor, final scratch, miss pinky, virtual DJ and their own custom high resolution DJdecks time code. Often when using Ableton I'd use it in a way where I kind of use the workspace like a big record box and just generally head where ever I feel. The problem is it seems to have the major flaw of constantly stuttering at the exact times where I'd lay down a solid mix groove or create something new during real time sessions at the point of transition entry and exit. Meaning that it would happen 7 to 8 times over a 1 to 2 hours stint. In worst case scenarios a few of the stutters would actually even register in the live set recording of the actual live set sequencing (WTF?!). As you can imagine recording the mix set to an external audio source would have been a major problem. This is still a problem even to this day although for the main part greatly reduced compared to how prevalent it had been previously. It seems its rare that I ever have an audio stutter free run when solely using the mixers internal audio card in digital ASIO mode even with the vastly reduced frequency of the issue occurring and that's only after actually complaining about it each and every time it happens interspersed with a whole stack of expletives through general annoyance. I've not been able to completely stop the issue no matter how much tweaking I do to the OS and it generally seems to be at the mercy of some kind of external source beyond my control to fix. I only recently started to do this, purely for the reasons that if I used the mixers midi clock generator to control the global master tempo and pitch control and set all other chained midi to slave the actual tempo and pitch warping changes made using those generated by the mixer didn't actually get recorded to the live set as I wanted it to despite working as it should during performance. it also meant that the ASIO stream would also be easier to stream for use elsewhere with little disruption. Could this be the reason for the constant audio stutters? It's for this reason that I've more recently started to use the applications default midi clock controller to change tempo and warp/pitch control as the master again which in fact allows me to record the changes to the actual sequenced set. However I found that in the initial stages of doing this it caused my mix sets to completely stop and for audio to completely go dead each and every time at the point of track exit transitioning after laying down a solid groove or having created something new. They only way to recover from such situations was to completely restart the entire applications and mixer. So far this has kind of been resolved for the last few sessions or so and hopefully this should continue. !!! FIXED !!! 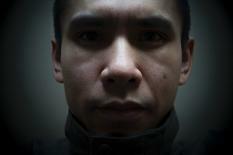 Use windows 8 or Wait for the full final release. !!! FIXED !!! ...BUT NOT BY USING WINDOWS 7. It's in fact been discontinued. - Allen & Heath Xone 2D (like they'd chopped off the midi section of the 3D/4D and put a sound card in it so you could use it along side your current mixer of choice. 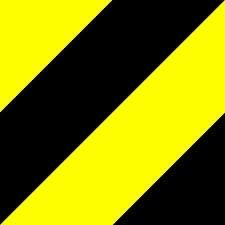 c l i c k t h e b a n n e r t o g e t b a c k t h e r o l l i n g E_T Z-4 b l o g . . . If you already know what you have then there's really no point looking here. 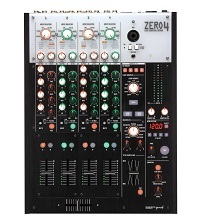 For all others that are interested you'll find the official support pages for the Zero4 and PDF documentation on specs and usage guides for the mixer. Essentially its an all in one mixer that can deliver studio and pro grade quality results under a brand that is well respected for making industry standard pro grade equipment. My main reason for going with this thing was the fact it offered a good all in one solution for under a grand at the time of release which would have normally run you into well over 3 thousand euro for a less tidy modular solution. Since then the price has definitely dropped but you'll be lucky to find one these days since its been discontinued. Alternately there's also the zero8 but expect to pay more for 8 stereo ASIO channels instead of 4. you'll definitely be hard pressed to find any other kind of all in one digital and analogue hardware mix with an integrated studio quality audio interface, fully assignable midi controls and a midi clock generator for syncing multiple laptops/midi devices from a single control point. Its also possible to use the auto BPM counter from any audio source to control the midi clock generator. Obviously there are other worthy solutions but I reckon this is worth investigating if quality by a respected brand on a relatively tight budget is what you need whilst getting on the digital edge. I'm not quite sure what the issue was with this having seen some complaints that people couldn't get it to work with Windows 7 64-bit but as far as I was aware the drivers needed to make it work with Windows 7 64-bit have been out for quite some time now. This dirver should also work with all previous versions of Windows too. 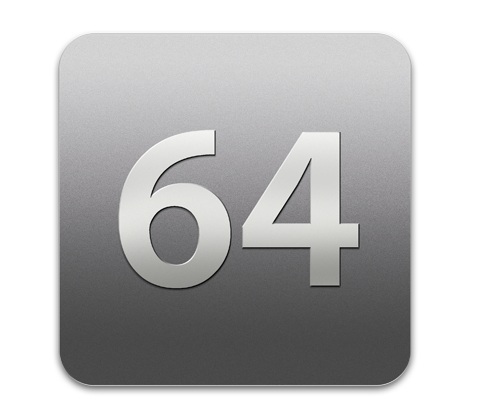 Just click the 64 logo to directly download the official Korg Zero4 firewire drivers now. 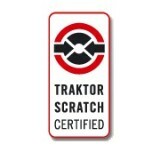 So this thing is apparently Traktor Scratch certified meaning that it will work with Native Instruments Traktor Scratch vinyl emulation system. However in being one of the early adopters I missed out on the Traktor scratch package for this thing. 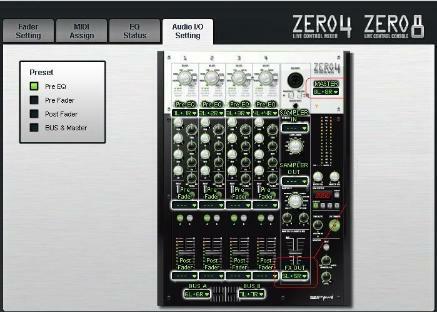 Basically the Zero4 mixer already has the audio interface built into it. You just have to get hold of a copy of Traktor pro (currently at version 2 in its most recent form) and the control vinyl to make it work. 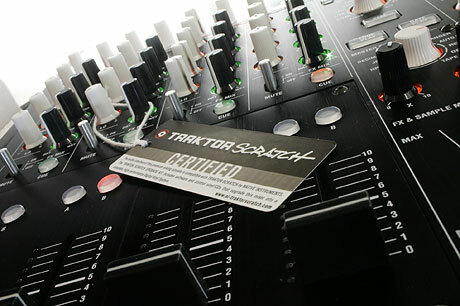 Click the logo for the official Traktor site. I've not tested this thing first hand yet so there's not much else I can tell you about it just yet. Be sure you get the package without a Traktor the interface if you own a Zero4 and you want to use the Traktor software with it. you can go directly to the official website and download the full demo by clicking the Traktor logo. You can also buy it there too. I'm not sure what has happened here but whilst testing the Zero4 with an earlier build of DJdecks I was able to get vinyl emulation working by assigning two seperate turntables to two seperate virtual turntables within DJdecks. However with the most recent build the audio routings don't seem to allow for this to happen anymore which has left me at a bit of a loose end. Anyhow to get to the DJdecks website just click the logo next to this body of text. Windows XP pro 32-bit / Windows XP pro 64-bit / Windows Vista 32-bit / Windows 7 32-bit / Windows 7 64-bit. 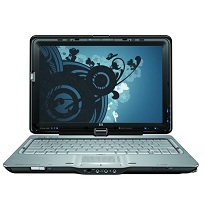 Here you'll also find drivers to make the TX2000 series tablet work with XP32 and XP64 which you can't get at the HP website.